The basic 9 Patch is a simple block like tic-tac-toe. Using a charm pack with a solid background gives it just enough sparkle. After assembly and a few simple cuts the finished block gives the illusion of a much more complicated block. 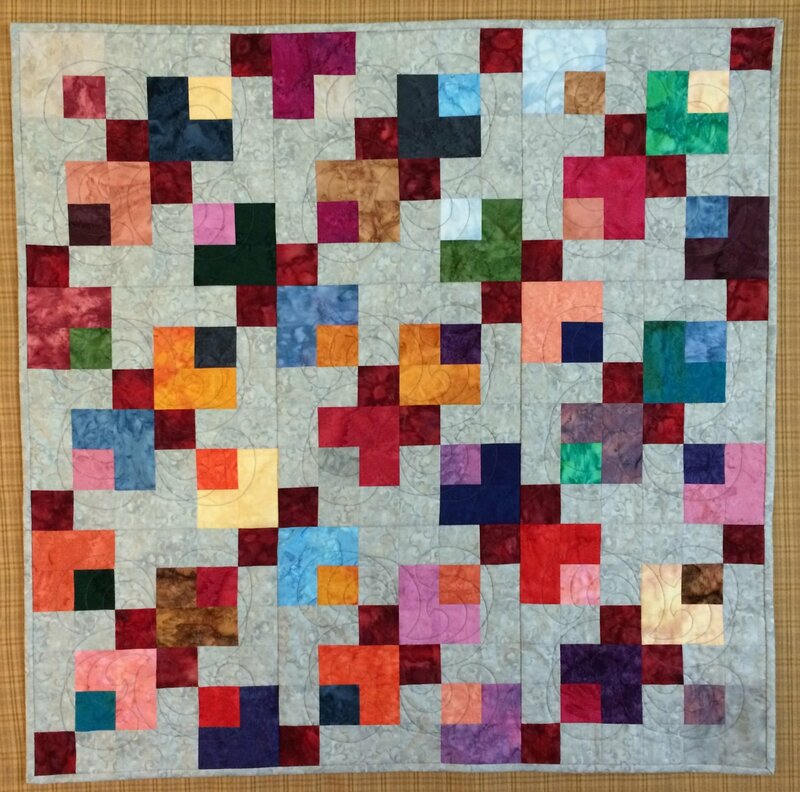 Machine quilting and a no sashing assembly makes this project easy to finish on the home sewing machine.